Unfortunately we’ve had to postpone this event until later in the year. 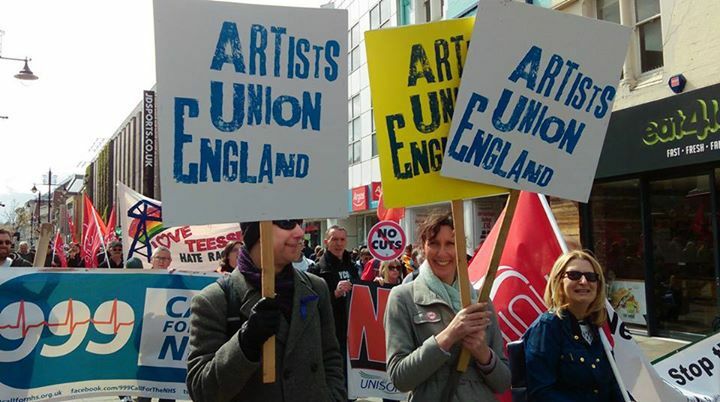 Join Angela Kennedy for a workshop, discussion and information sharing about the Artists Union England. Angela is a multi-disciplinary artist, activist and founding member of Artists’ Union England – the first trade union for visual, applied and socially engaged artists. Accessibility: NewBridge Gateshead has full accessibility, this event will take place in the Co-Work space on the ground floor of NewBridge Gateshead.